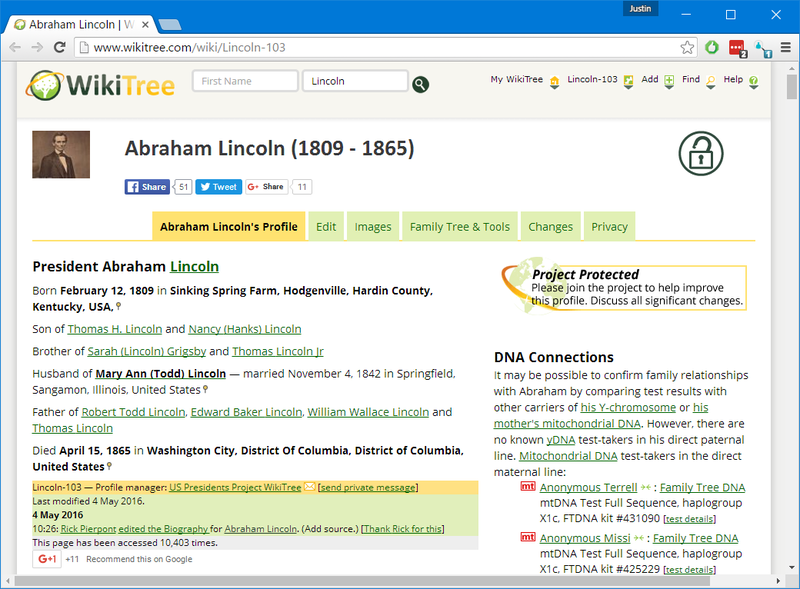 We recently updated the RootsSearch Chrome Extension to add support for WikiTree. Previously you could search on WikiTree, but you couldn't start a search from a WikiTree profile. 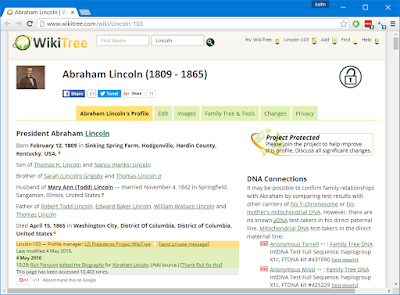 In this example we start on the WikiTree profile for Abraham Lincoln. 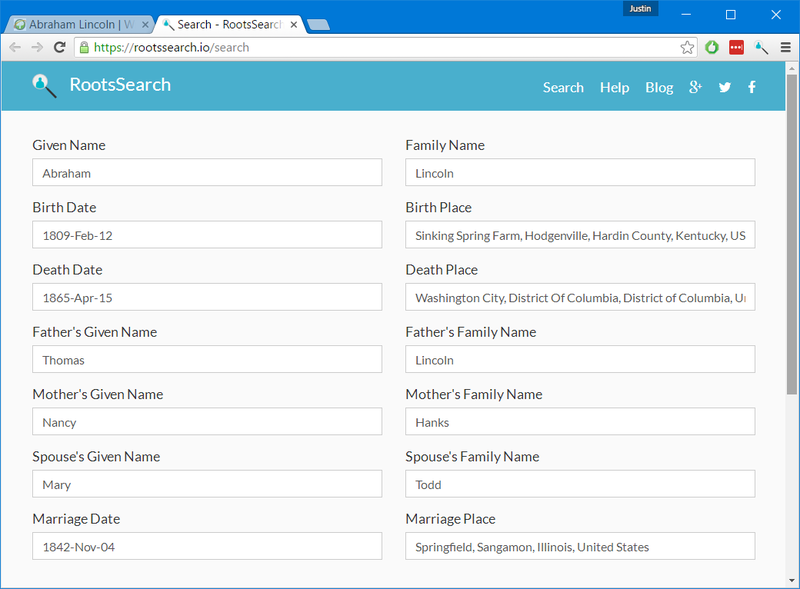 After clicking the RootsSearch extension icon we are sent to the RootsSearch website where we can quickly search other genealogy websites for matching records or profiles of Abraham Lincoln. 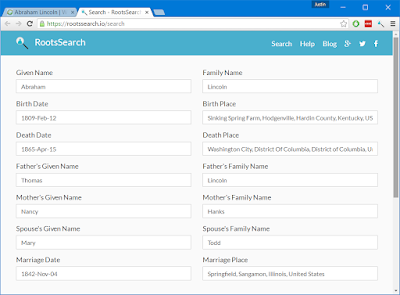 Is there a genealogy website that you frequently use but we don't yet support? Leave a comment below to tell us.